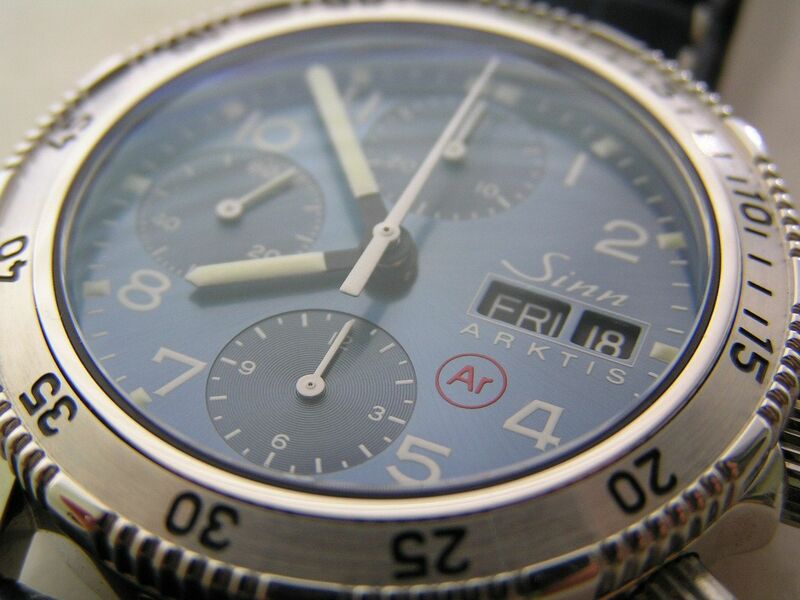 Unique is certainly one way to describe the Sinn 203 Arktis automatic chronograph. This watch possesses several unique features not available on any other brand timepiece to my knowledge. Assembled in Germany with a Swiss engine, this Sinn combines Germanic attention to detail and an engineering prowess not normally associated with a mechanical timepiece. Sinn prides itself on making watches for military and commercial applications or for use in extremes of temperature or humidity. 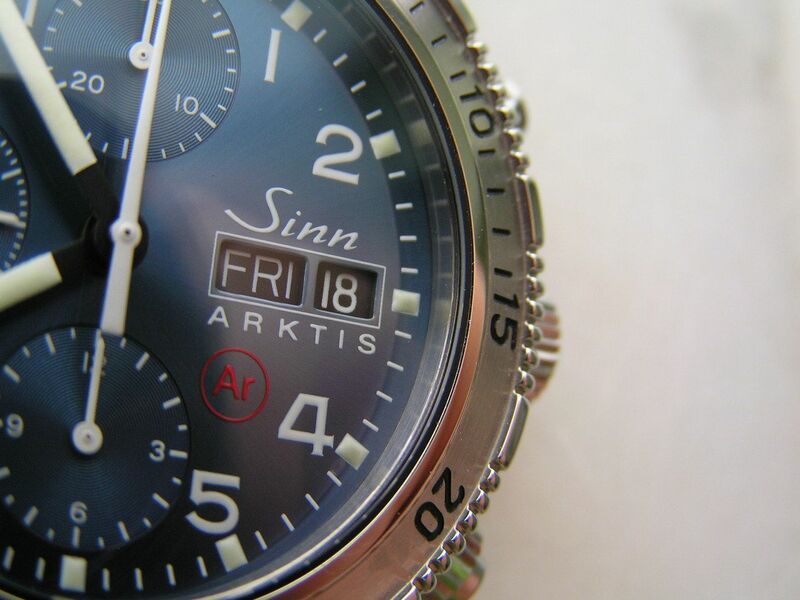 There are many different technologies that Sinn employs in the manufacture of their watches and most are not just marketing fluff. How many watches do you know that are filled with the inert gas Argon and have a dehumidifying capsule built in? It’s an almost James Bond approach to building a watch and that’s pretty cool. 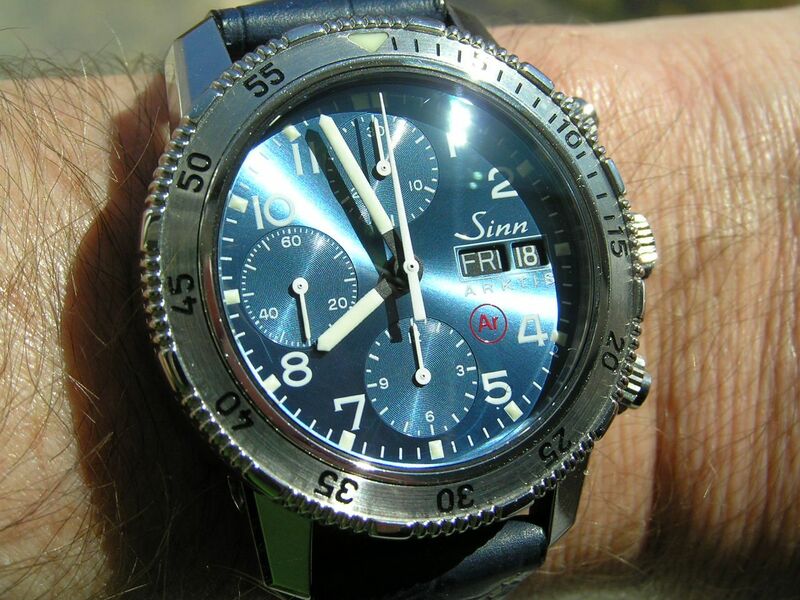 I was attracted to this Sinn 203 Arktis not so much for its technological achievements, but for its unique look, which certainly stands apart in a crowd. The blue dial is absolutely stunning and shows off a shade of blue unlike that of any other blue-dialed watch I have seen. 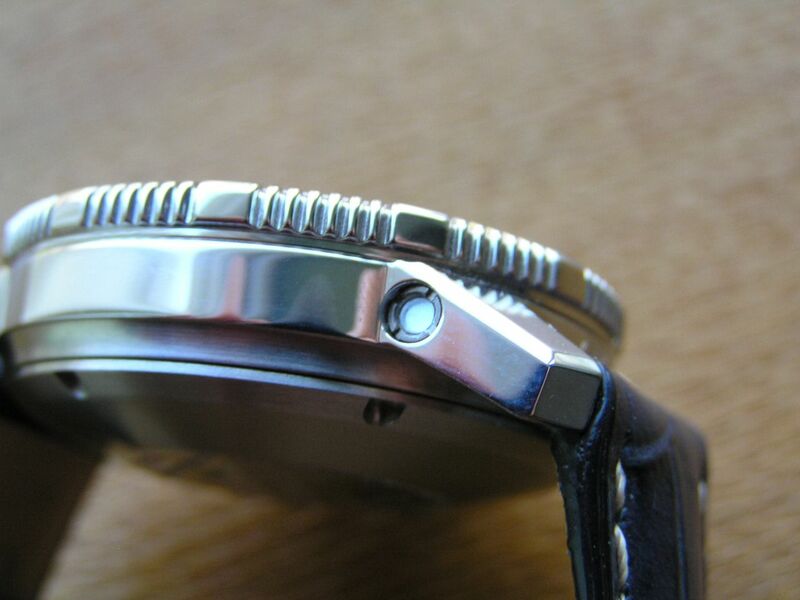 The dial is electroplated and is UV resistant, so fading should not be a problem. 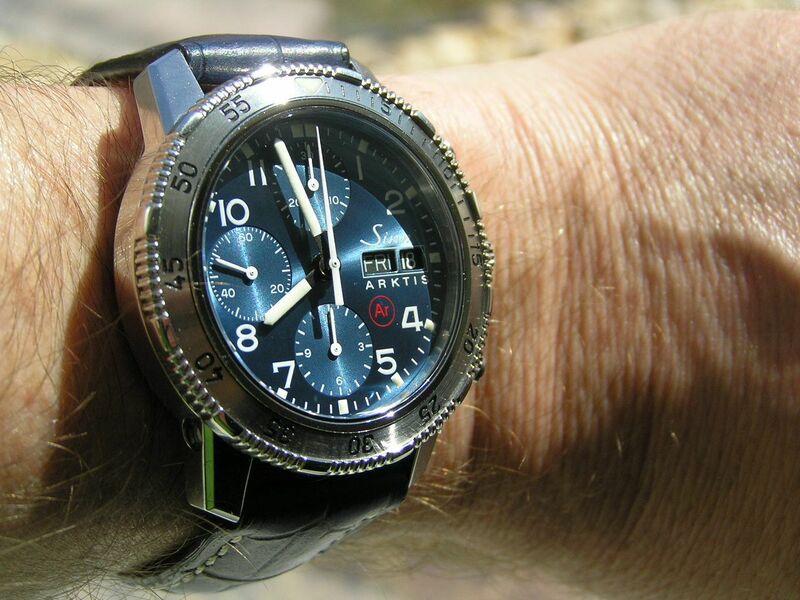 The 203 Arktis (‘Arktis’ translates to ‘Arctic’ in English) is named because this watch utilizes a special blend of lubricating oils that maintain their viscosity in extremely low temperature, allowing the watch to keep running long after a standard mechanical watch would have stopped due to its lubricating oils thickening up. 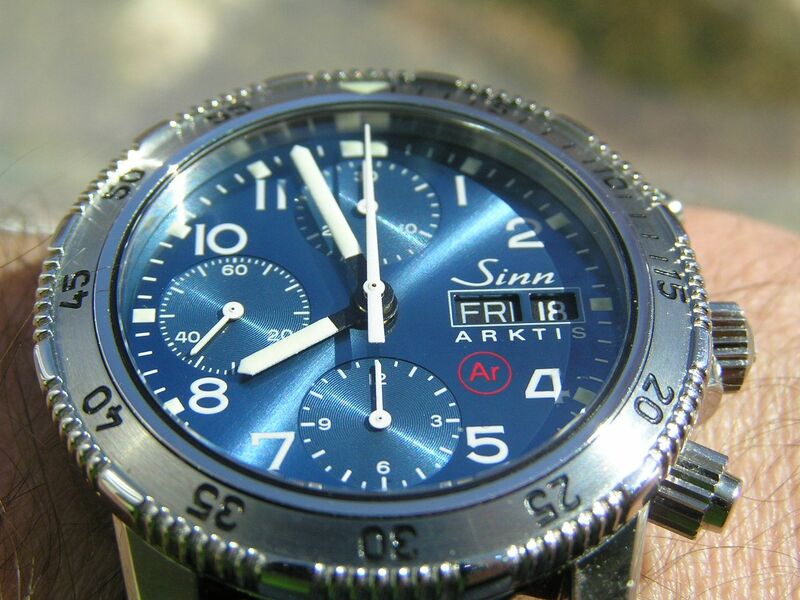 Sinn recommends using this watch is alpine or high-altitude settings. Where I live, the elevation is about 600 feet above sea level, so I’m good. The Arktis is rated to operate down to -45 degrees Celsius (-49 degrees Fahrenheit) and up to a sweltering +80 degrees Celsius (176 degrees Fahrenheit). It also is filled with inert Argon gas to help prevent build-up of excess humidity (no fogging of the crystal) and even has a copper sulfate capsule installed in the lower left lug that absorbs excess humidity and will turn blue once it’s reached its absorption limit. Combine these nifty features with a 300 meter water resistance rating, screw down crown and screw down chrono pushers and a high-quality stainless steel case manufactured by SUG of Germany and you have one mighty rugged and interesting watch. 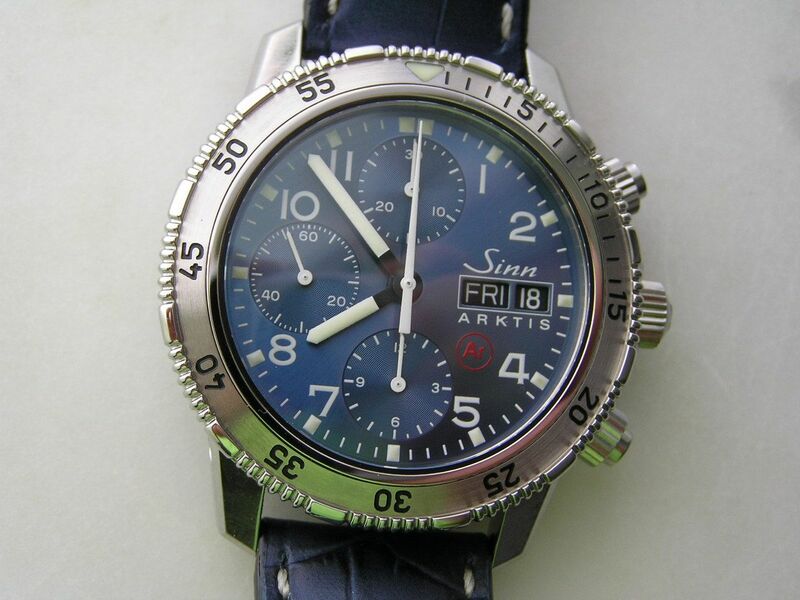 The Arktis starts with a fully polished stainless steel case made by SUG in Germany. Diameter is 40.8mm without pushers or crown, 45.2mm including the signed screw down crown. A nearly perfect size for most users. Thickness is 16.2mm, lug spacing is 20mm. 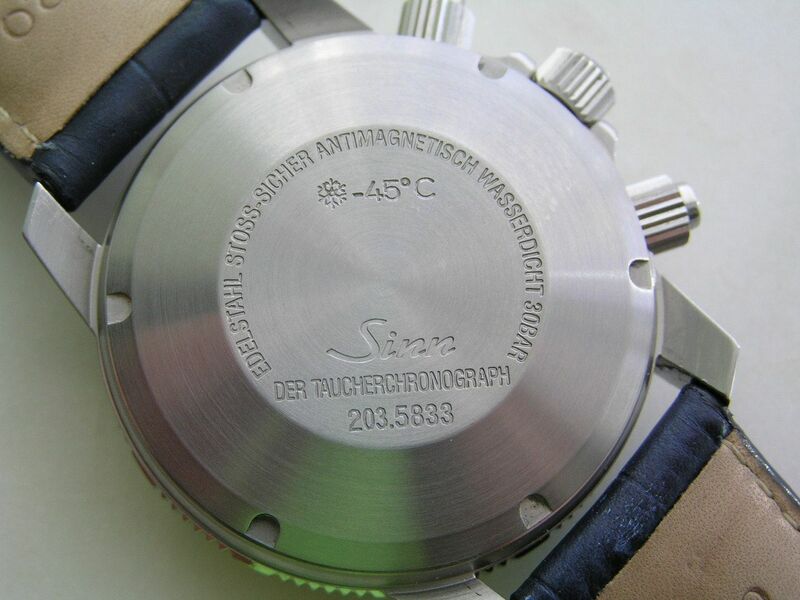 The case back screws down and is brushed, with all wording in German (and emblazoned with a -45 C mark to remind you of its extreme temperature resistance). The bezel is a standard 60-click unidirectional type with an alternating smooth and knurled edge. The numbers on the bezel are engraved and infilled with black paint, along with hash marks for the first 15 minutes. A lume infilled triangle marker is at the 12 position. The bezel clicks rather loudly with a sort of snap-action to it. There is some backlash/play in the bezel but not enough to be annoying. 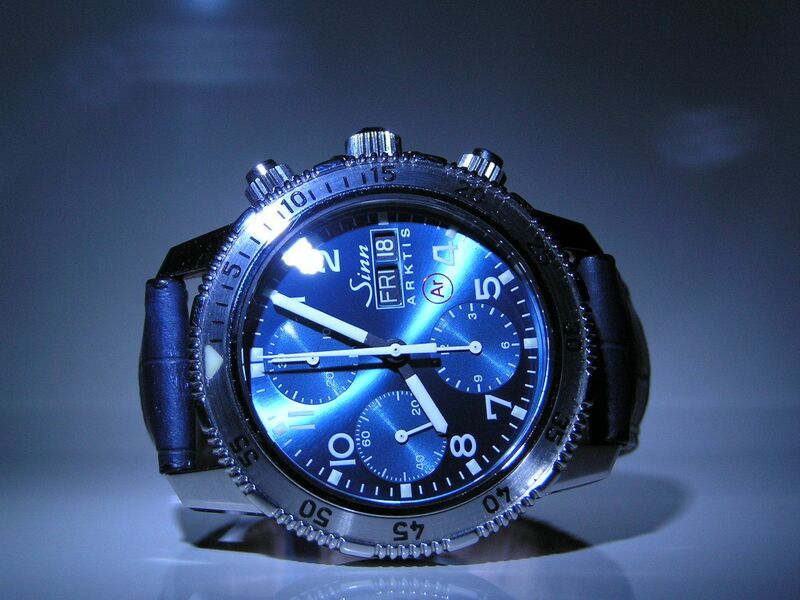 The dial is, as stated above, a beautiful shade of blue. 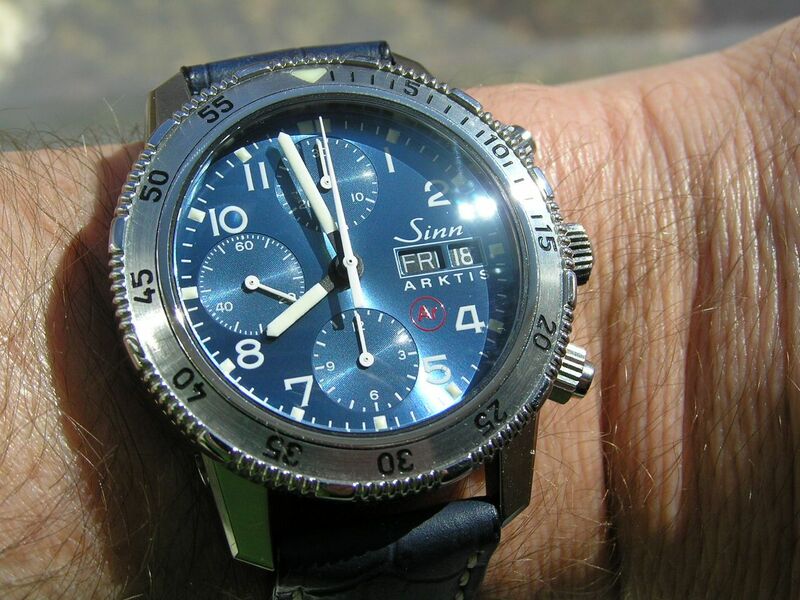 The name ‘Arktis’ certainly does this color proud, I would venture to call it ‘ice blue.’ I also like the hands on this watch. 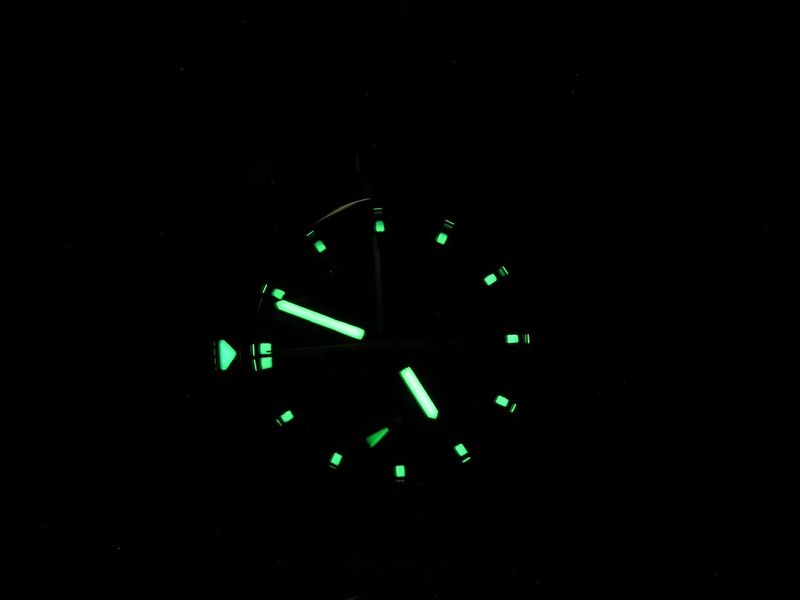 The hour and minute hands are white (actually a very faint lume green, but they look almost white in most light conditions). The center chronograph seconds hand and all subdial hands are pure white. White arabics surround the dial, with lume squares running every five minutes around the perimeter of the dial (double squares at 12), with white minute markers between the arabics. 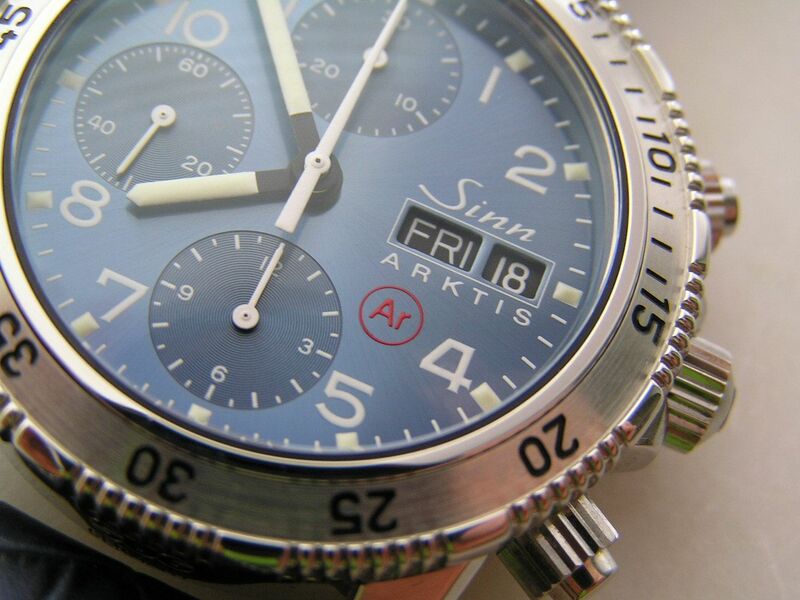 Minimal dial printing is another nice touch, with just the Sinn name, Arktis name and the symbol for Argon gas (‘AR’ in red) printed on the dial. The subdial layout is standard Valjoux 7750, with the subdial at 12 being the 30-minute chrono totalizer, the subdial at 6 being the 12-hour chrono totalizer and the subdial at 9 being the watch seconds hand. 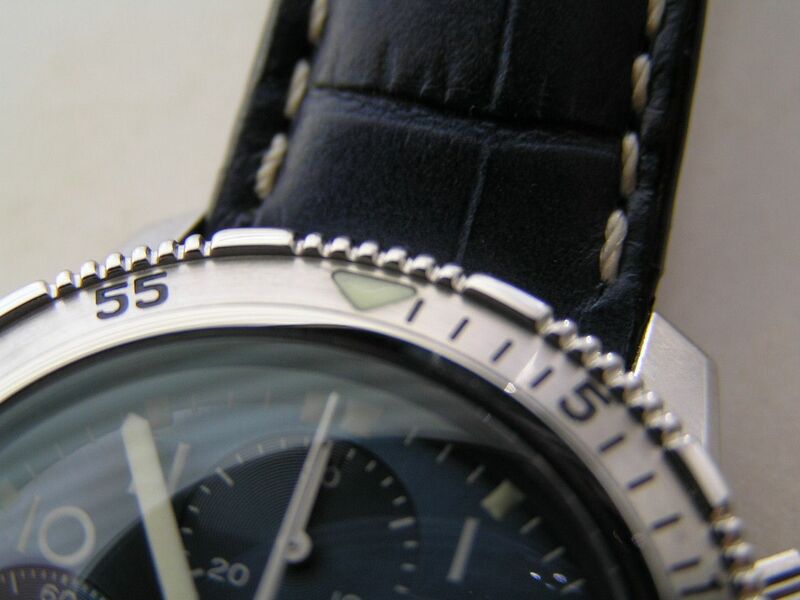 The large center seconds hand is the chronograph seconds hand. A quickset day/date window is at the 3 position, with a divider between the day and date, with a subtle white rectangle surrounding both windows. The day/date wheels are the proper white on black and look good, alignment within the windows is acceptable. A domed sapphire crystal with double anti-reflective coating caps the dial. The screw down crown screws in a satisfying four full turns, with the lockdowns on the chronograph pushers require over five turns to unlock. When fully unlocked in the counter clockwise position (pusher lockdowns turn away from the case) the chronograph can be used. Screw the lockdowns towards the case to lock the pushers. The crown on the Arktis also pulls out quite a bit from the case and you need a pretty good yank on it to get it to the time setting position. Not a complaint, but just be careful when pulling the crown out to set the watch. Lume quality is good, with the hour and minute hands, the subdial seconds hand and the square markers illuminated along with the triangle on the bezel. The 203 Arktis uses the tried and true Swiss-made Valjoux 7750 25-jewel automatic chronograph movement running at 28,800 beats per hour. During testing in my lab, it has run at +10 seconds over 24 hours with a superb 54 hour power reserve. Start and stop action and reset on the chronograph is fine, as to be expected from such a venerable watch movement. 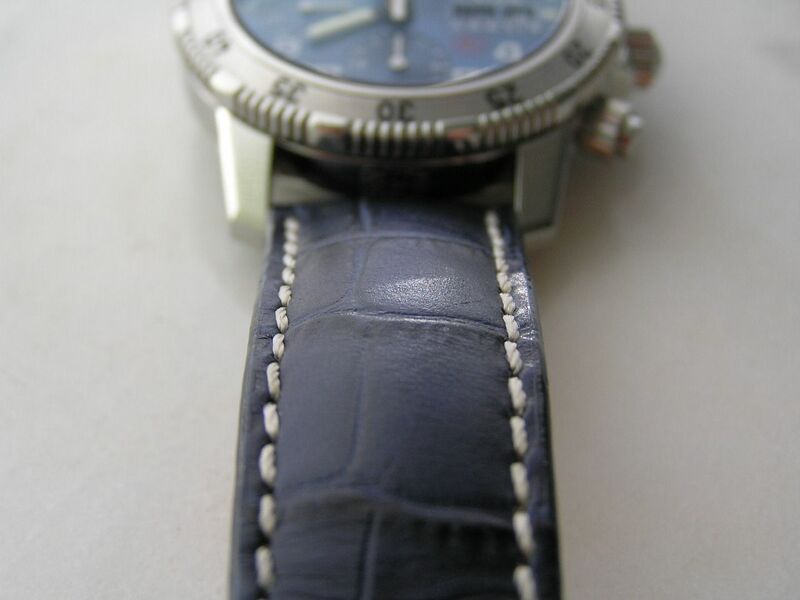 The Arktis is available on both a stainless steel bracelet or a blue calf leather croc. 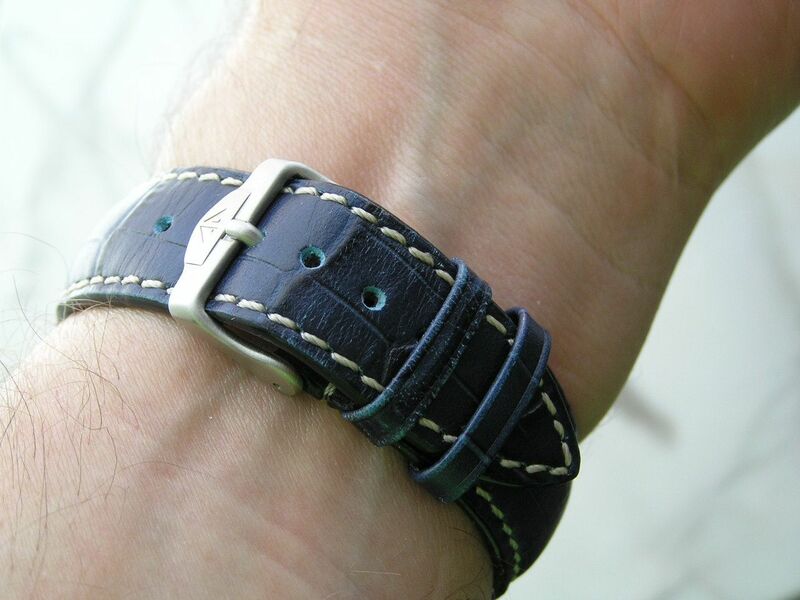 look strap with white contrast stitching. The watch has been photographed on the leather strap; I have the bracelet, but it’s sitting in the watch box under wraps. 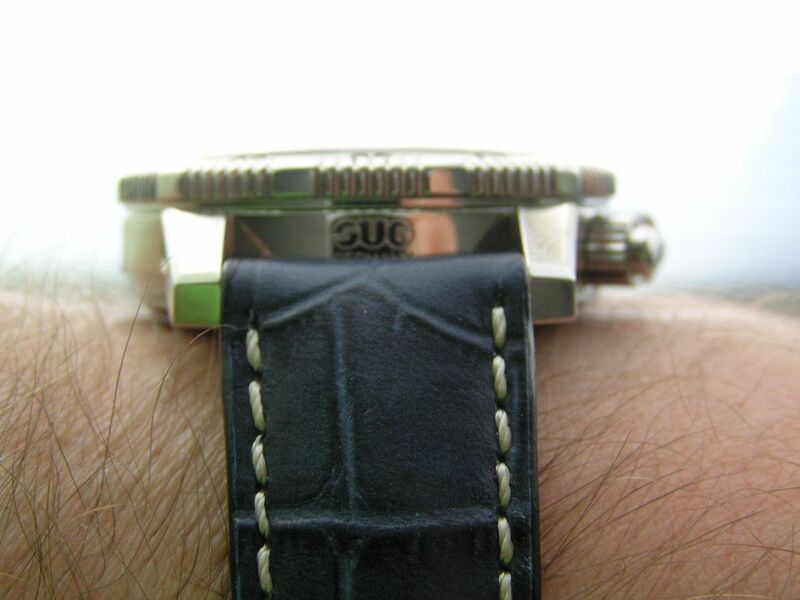 The strap measures 20mm at the lugs, tapering to about 18mm at the stainless steel buckle. The strap is of high quality and is fairly well padded, but still flexible. There are two keepers, one fixed and one floating. The strap looks great with this watch, the blue color coordinating nicely with the dial. The stainless steel bracelet is also a gem, with solid links, solid end links and a double locking clasp with machined deployant and machined dive extension. 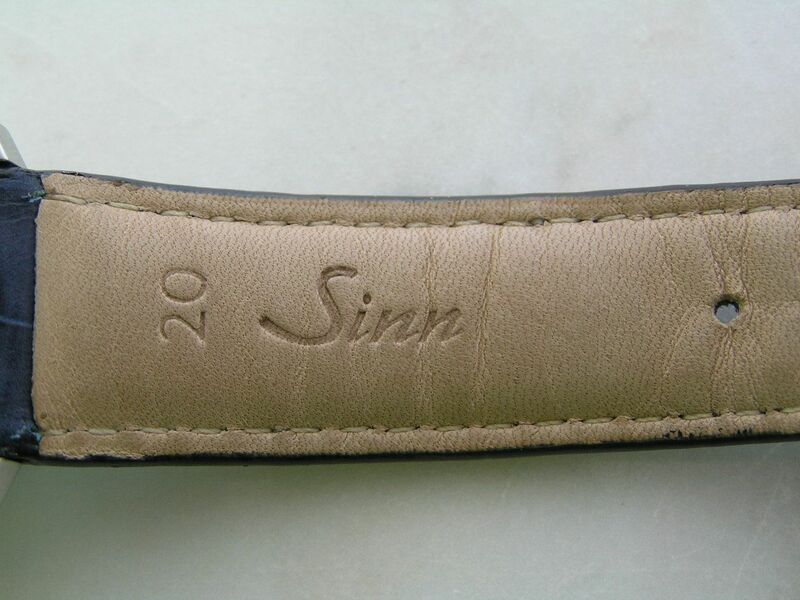 The design of the bracelet is unique to Sinn and is somewhat of a trademark of theirs, you know it’s a Sinn if you see this bracelet. The bracelet links are secured with screws, but with hex heads on both ends. Sinn supplies the required Allen wrenches so bracelet adjustment is easy, but with screws on both ends, it can get a bit tricky to balance everything. A steady hand and all is well. The bracelet measures 20mm at the lugs and tapers to about 17.7mm at the clasp. 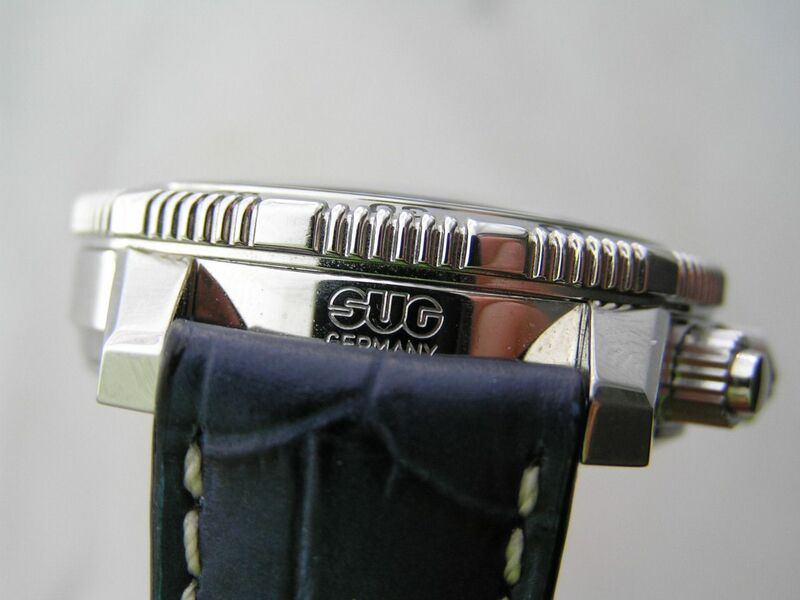 The clasp itself is signed and brushed, with the fold-over safety lock being polished. 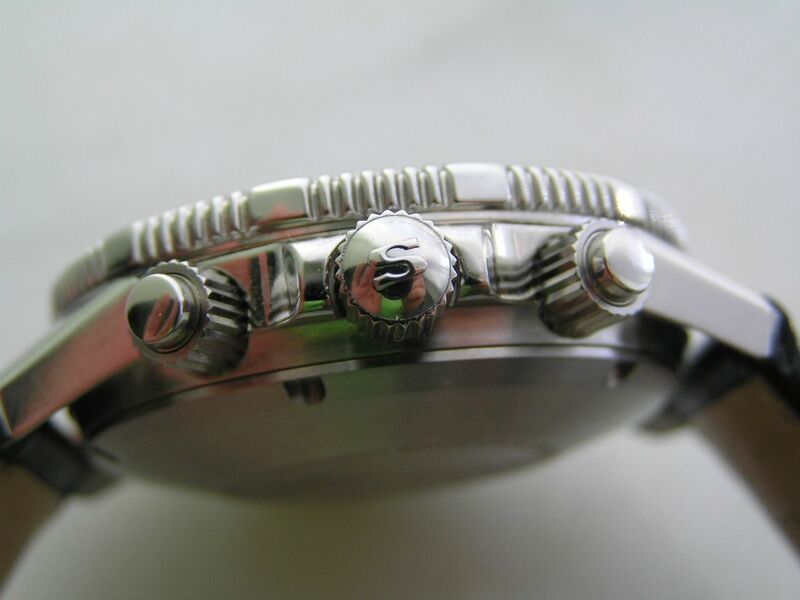 There are no half-links on the bracelet, but there are three micro-adjustment holes on the clasp. 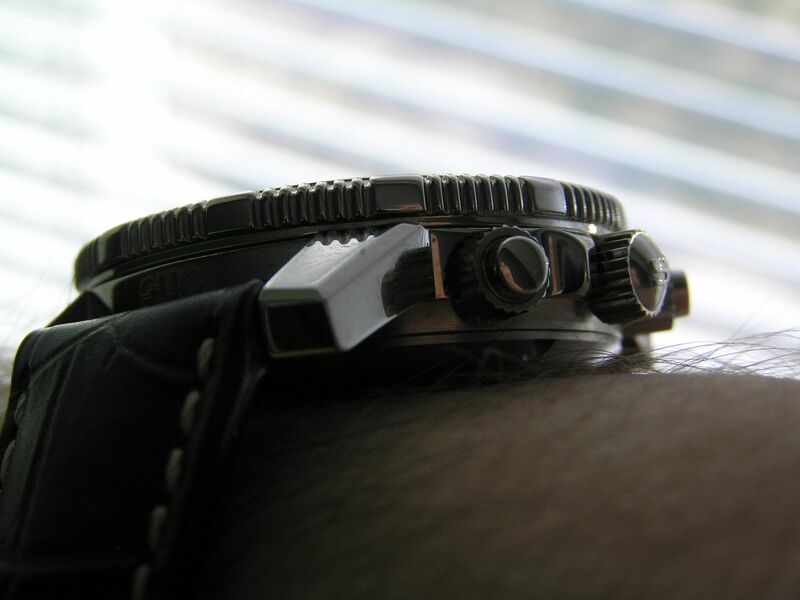 At some point I may install the bracelet on my Arktis, but for now, I’m happy with the strap. 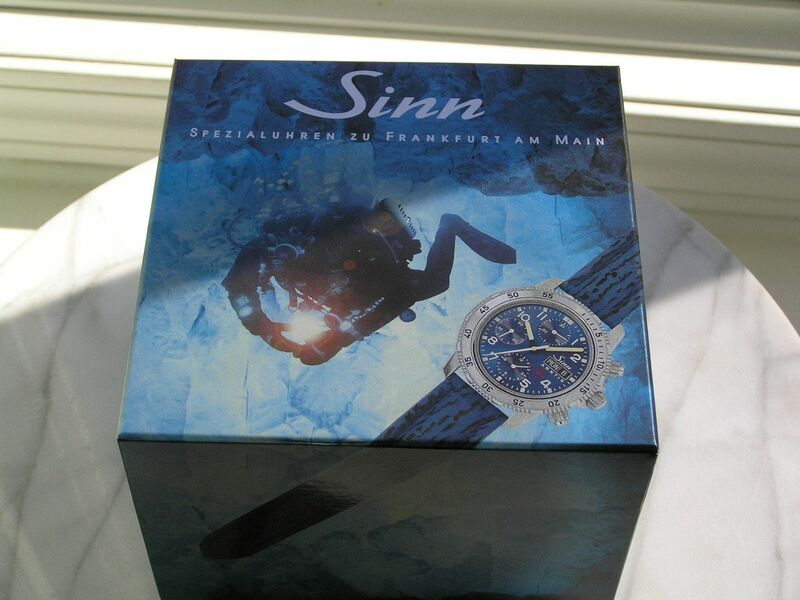 Presentation is very nice, with a full color two-piece outer cardboard box and a leatherette padded inner box with Sinn signed screwdriver/pin tool, the bracelet adjustment wrenches, a simple printed instruction sheet (in German) and a CD ROM with instructions in English. 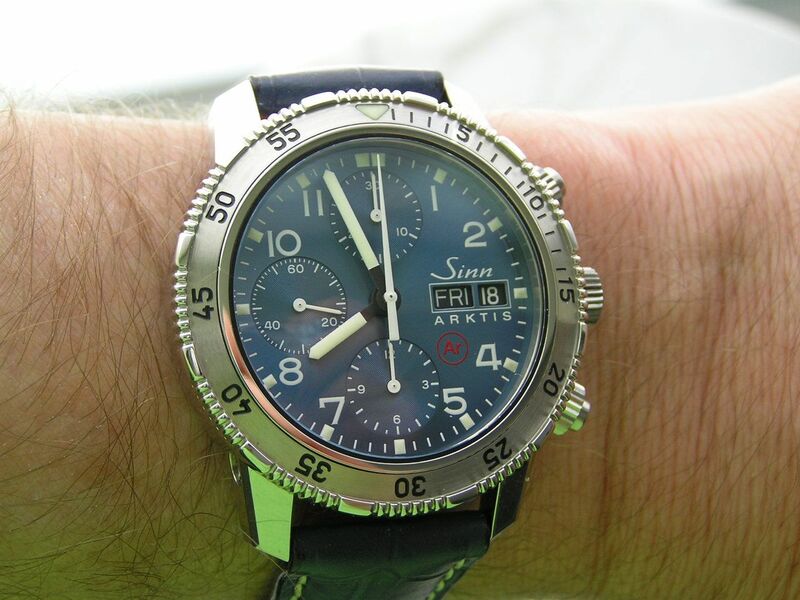 In summary, the Sinn 203 Arktis is a tool watch of a different sort. It’s truly engineered to perform in abstract conditions while also looking very sporty. It’s not monstrously huge or garish is any way, and that’s what makes it so cool. You can wear this watch with a suit at your next board meeting, with swim trunks on a surfboard or while scaling the Himalayas with your Sherpa. 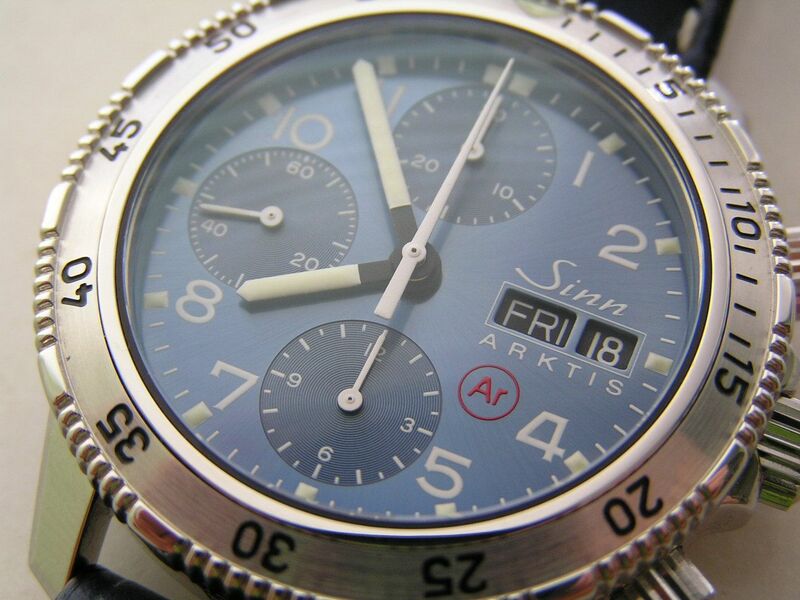 The Arktis is a beauty and the blue dial can’t be beat. Verdict: a tool watch for the ages, this is one watch that has functionality and good looks in droves and is also a piece that you won’t see the other guy wearing. 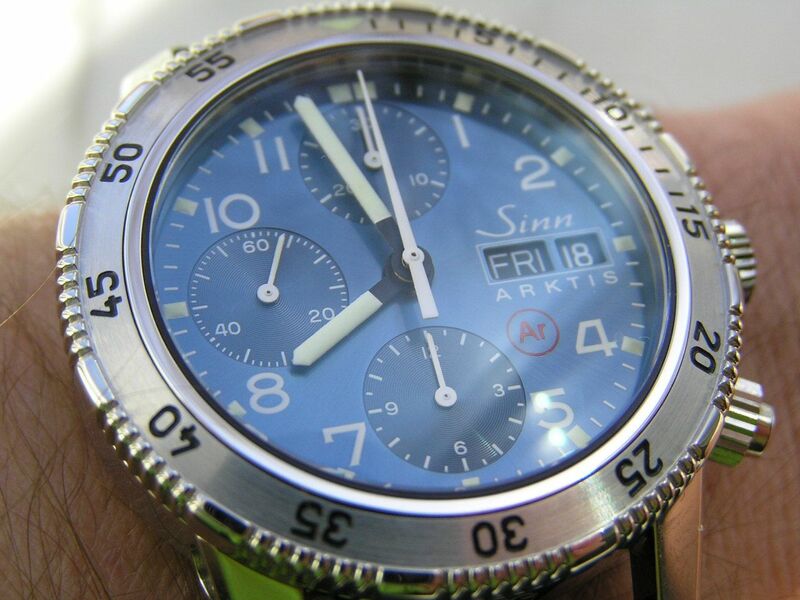 Sinn, congrats on an amazing watch!